Former soldier Jel (Jeremy) Bearder served in the Royal Regiment of Artillery from 1986–91, in locations including the UK, Germany, Cyprus and Canada. He had always loved sport, and represented his regiment at football, rugby, tennis, cricket and athletics (junior Army discus champion 1990), and competed at swimming (butterfly) within his unit. When he left the Army he missed the comradeship he’d enjoyed with his fellow soldiers. Added to this, Jel’s relationship broke down in 2008. He left the family home and his two boys behind, and became quite low. 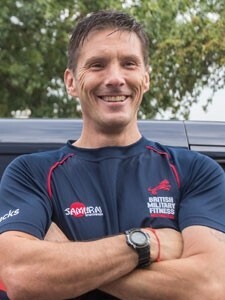 He realised he needed a decent career and, as sport and competing had been such a big part of his life, a friend suggested British Military Fitness (BMF). On learning more about this organisation, he became very excited about the potential to work for BMF, but found he would need to complete an NVQ level 1 course before he could be considered as a trainer. Not in regular work at the time, the course fees were out of his reach. Shortly afterwards, and just by chance, Jel was passing his local Royal British Legion office, so he popped in for a chat. 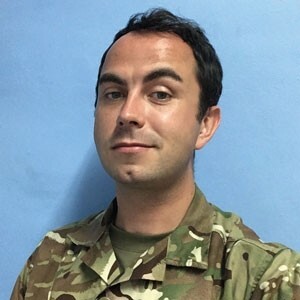 They quickly put him in touch with Civvy Street, the RBL’s employment service, which helps ex-Service personnel make the transition to civilian life. Within a couple of weeks, Civvy Street confirmed that not only would it cover the costs of the level 1 NVQ but also the level 2. Veterans’ Gateway is a first point of contact for Veterans, their families and carers who are in need of support. The service is delivered by a consortium comprising The Royal British Legion, Poppyscotland, Combat Stress, Connect Assist, the Ministry of Defence and SSAFA, the Armed Forces Charity. Veterans’ Gateway represents a pathway to a full list of services, from housing and recovery to mental health services, financial and employment advice. It aims to reduce confusion for Veterans seeking support within the military charity sector and to ensure it can signpost to the right service for any need a Veteran may present with.